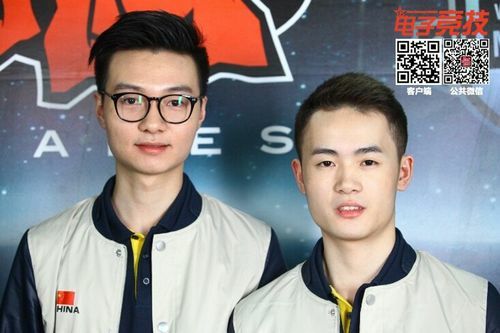 Interview with OMG LoveLing and Dada7 after they beated FNC,. Their goal is the win the remaining 4 games. Original Published: 2014-09-27 13:52:14 Original Chinese Article: http://lol.178.com/201409/205797134880. Interview with OMG LoveLing and Dada7 after they beated FNC,. Their goal is the win the remaining 4 games. Although the road to the playoffs is not going to be easy, OMG seems very confident after they beat FNC and get their first win. Dada7: Since FNC ran a Thresh-Lucian bot lane, I belived that we would have to play if I picked Zilean. Q: This question is for LoveLing. We often saw you using Evelynn in Jungle. Is there a reason behind it? Is this the new game plan mentioned by TT ( the team’s coach)? LoveLing: I used Widowmaker mainly to match with zilean. Furthermore, I am more familiar with this champion. Q: Goging said you want to win the next 4 games. LoveLing: All of us really want keep up the momentum by winning the remaining games. Q: Dada7, why are you holding a hand warmer? Dada7: The air conditioner on the platform was too cold. Q: Has the cold affected your performance? Dada7: It affected me on the first day. Today is much better. Q: Dada7, there have been a lot of fans debating mistakes you made during the games. Today, you did pretty well in the game with Fnatic. Is there something you like to say? Q: Elise, the Spider Queen was not used often during the earlier groupstage, however Elise was used very often in Group C and D . Is there a reason behind it? LoveLing: I think this is just because different team favors different champions. Junglers in LPL region usually prefer Rengar and Elise. Actually European and Korean teams are also comfortable playing Elise. I use Elise mainly when she fits well into our team compositions. I also think Elise is just a good Champion. Q: Dada7, when Western casters mention your IGN, they usually spell the whole name. Do plan to change it to a shorter ID? Dada7: I think I should make some changes. I did not expect them to spell out the full ID. Q: What is the main reason that Fnatic beat SSB? LoveLing: I think the main reason SSB lost was because they didn’t take care of their top laner and he fell too far behind. If they hadn’t lane swapped, I think that their bot lane could have carried the game. Q: For those who follow closely OGN games realize Korean teams have good handle of the vision and tempo during the late game. Dada7: We had a long postmortem after we lost the game yesterday. Based on this experience, we will try to minimize our mistakes. Q: After today’s win with Fnatic, what do you think about your chances on the remaining games? Dada7: I believe we will have above 50% chance on our remaining games.